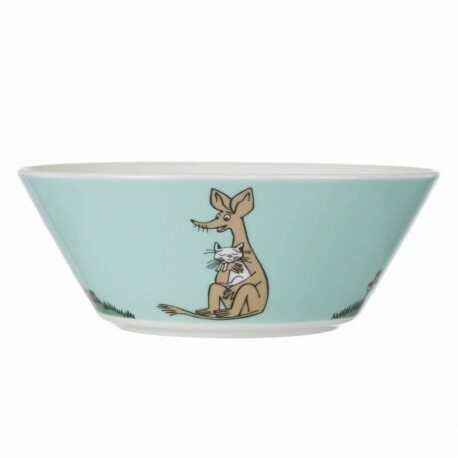 This nice light blue/turquoise Moomin bowl by Arabia features the lovely Sniff sitting on grass and holding a cat. It’s beautifully illustrated by Tove Slotte. Moomintroll's immature friend. He is a small animal of unknown species, though he somewhat resembles a brown rat or mouse. He is one of the few characters who is sincerely interested in money, and is always on the lookout for another way to get rich quick.